all the cursing and crawling around lid hunting that is to come..
Oh dear, flowery stuff with screw lids. Do hang in, I'm sure it's just a passing stage. You have me laughing again, which is always a good thing. Happy PPF! teeeny, screw-y lids WHEN YOU HAVE LOTION ON YOUR HANDS... some ancient form of torture, i'm so sure! My college roommate was here for a visit this summer, and she looked around my house and garden and asked, "What happened to the girl who liked rust and brown and plaid?" And I love your take on cleaning! I like it--forget the sweeping and dusting--I would much prefer bashing The living crap out of the duvets and pillows! Especially if I got to add sound effects! I've never beat the hell out of anything as a way of cleaning it, but then I don't clean all that much. LOL Really. Not that we live in filth do not get me wrong. We don't. but as one ages one sees less dust so there is not the mad rush for the dust rag. I am three decades past yours now or four depending on where you start counting. LOL Isee or choose to see less dirt. Your art on the other hand I see just fine and once again, I love it. I never pamper myself either, although when I do, I always say "why haven't I done this before?". I love your sketches and glimpses into your life. Lovely painting, nothing wrong with little pretty every now and then! Happy PPF! Beautiful illustration...don't worry about that pretty feeling...by the time you hit mid fifties it will wear off, you'll be purging as though it has the plague. Seriously all the pretty stuff I accumulated is rushing out the door now!! Charity truck, gone, womans shelter, gone, friends sister starting over...more stuff gone..YES YES YES!! Feels sooo good!! I finally get the saying " less is more!" More time, less cleaning, fighting with things!! Still have lots too!! My daughter brings bags of stuff in, and I push more of my stuff out...and it feels sooo good!! Another humorous post that brings me so much joy!! Love the rolly lid. I swear my stuff grows legs and walks right under the couch all on it's own!!! That includes paintbrushes!! Go figure!! 'Take that you scoundrel' - just reading you say it made me smile!! 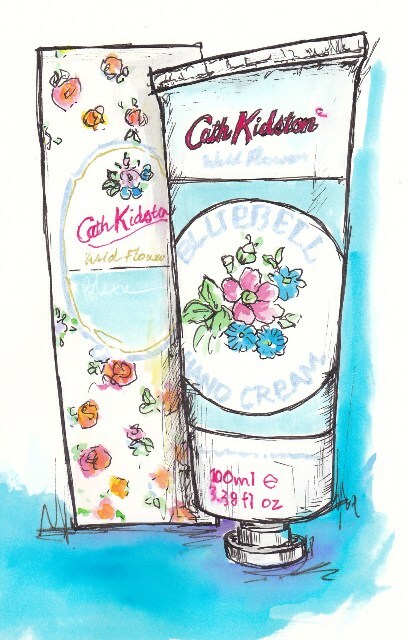 Cath Kidson stuff is very pretty but also very pricy - a new shop dedicated solely to her stuff opened here recently and it's nice to browse but I'll stick to Superdrug for my handcream, thanks very much!! Perhaps going all chintzy is a natural progression in the same way as starting to wear 'slacks' and getting bubble perms and purple rinses seems to be - do we just wake up one morning in our 60s and think 'i'll just pop on a pair of nylon slacks and nip to the hair salon for a quick bubble perm?'!! De très fraîches illustrations comme toujours Tracey. I just love how you draw EVERYTHING! I enjoyed the luxury of your cream. A tip from a friend who has been there: USE IT. Don't save it for the next time you attack your pillows, it just won't smell as delicious in 6 months. Lol! That is so funny. :)) I remember in the old days, we had neighbors beating their carpets every Sunday. But without the noises. 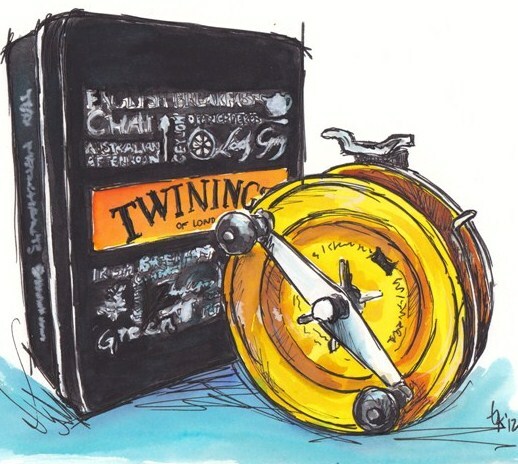 :) FAbulous illustrations! I love the way you painted this with a "nod" to the flowery style of the packaging but still staying true to your own less than "fluffy" style. NICELY done! When's your birthday? I'm turning 45 next April....the 40's are so much more fun than I ever thought they'd be! Ooh, lucky you! Autumn is creeping up on us over here. And we had a rubbish summer anyway - little inspiring weather at all in fact. Am right with you Tracey on the flowery thing. We get that stuff over here and lately I have found myself warming to that floral theme - It's so scary! And sometimes, when I open my mouth, my Mothers voice comes out! EEK! Double scary!! And I LOVE your sketch - Triple scary!!!! Lovely piece. Its amazing how you make such simple things like tubes with screw lids look so arty. I've never warmed to Cath Kidston or Laura Ashley, a bit too twee for me as well as the flowery thing. 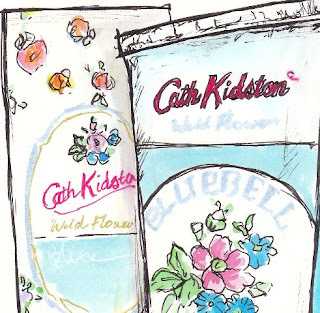 I have to say it again, your artwork knocks spots off Cath Kidston's. And I bet she couln't keep us all in tucks with such amusing posts. 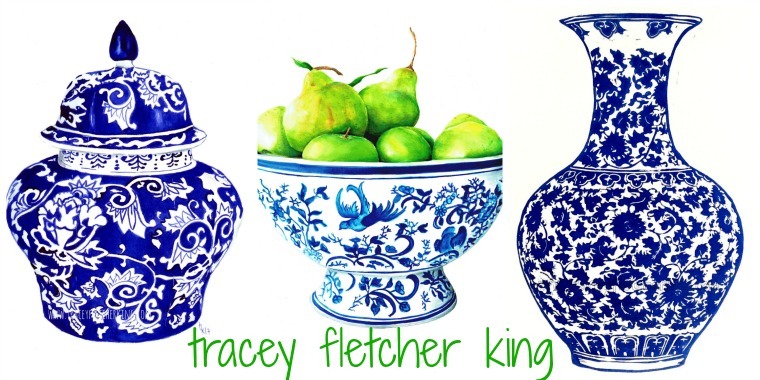 Tracey, as usual, your blog has been a veritable feast to the eyes! 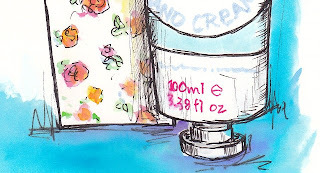 I loved your paintings of the pretty hand cream containers and your post about them. Most of all I loved the fly reel! Thinking of you I saved my chocolates container and will try to paint it next week. I've never tried that before so I may not show it. You make me see you swinging a pillow and all the dust flying about...have Phantom take a picture! It sounds like a good painting. Where does that dust come from, anyway! I love your drawings and paintings. There is something about wanting to "nest" that seems to be spreading, I think it is contagious! I have been wanting to change my whole house to cottage style with painted furniture in white, sage green, and yellow, and I actually have bought some LACE fabric for flowing lace curtains!!! I wonder if there is an innoculation for this?? Very funny, picturing your Kung Fu cleaning day! It could be worse, it could be me getting all flowery! Another excellent post, and love the drawings, but I have a technical question - does it have to be a Five iron, or could I use a three? I always like the looks of the Cath Kidston things, but never buy...too dear! !...nevertheless may be one day I could splash out and buy hand cream, hoping my co-ordination with the top is good. Love your drawing. At 45 you're still a youngster. There are many more phases ahead of you girl, and when you get to nearly 65 like I am- you will look back and cringe or laugh about some of them. Happy PPF. Fabulous art as always. Ha! The lid hunting! My girls are obsessed with lids for some reason, so all of my tubes and jars of lotions and potions and whatnot are almost always lidless. Such a beautiful "pretty!" I kind of wish paints came in tubes as pretty as this one. 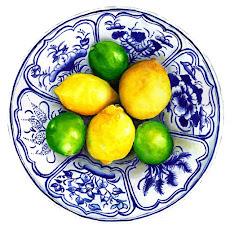 "The sweetness of the lovely scents" has produced some very cute colourful paintings indeed! I have the same thing on my tiny tubes of L'Occitane cream. I'm always chasing the caps around. I think they're supposed to look like tubes of paint. I love what you do with watercolors. So pretty! 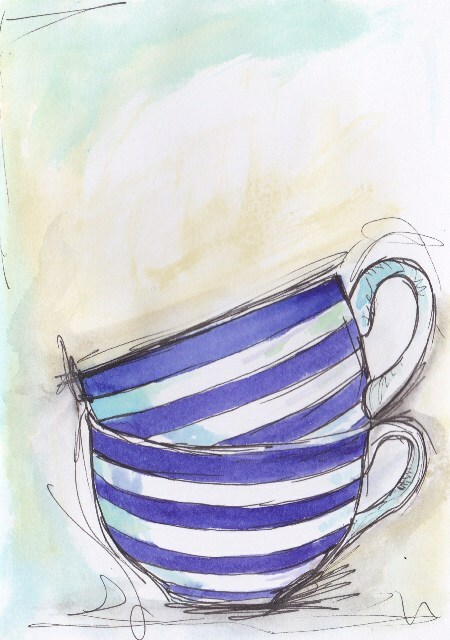 Love Cath Kitson and love it even more when painted by you. very feminine painting today indeed Tracey! It's so pretty! I love your picure and the style of your work. I think the flowery thing is about wanting to pamper ourselves (or preserve?!) as we get older. In my fifties I just bought perfume for the first time in 18 years - only to be told it's nice but 'smells of old people'! I have just recently started dabbling in florals, completely surprising everyone!! Maybe it was my longing for Spring, which appeared today perfectly, though Winter is forecasted to return for the next few days. Love the colours in this and I think it is better than Cath Kidston's!! PS...I think I would love cleaning done with ninja golf moves...I knew there was a reason I bought some golf clubs a couple of years ago!! I love to read your post first thing in the morning. Your artwork is beautiful and always inspires me to begin to create and your writing always makes me laugh out loud. The stages of life are wonderful but so predictable. Just a few pretty things aren't so bad but the bubble curls will never happen!!!! Oh dear...it starts with a pretty floral hand cream, and the next thing you know it's shower caps and doilies! The only real antidote is to turn your music up really loud and then watch a rude comedy based mostly around fart jokes. 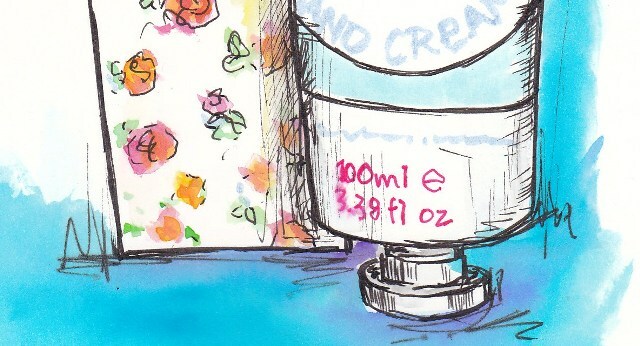 But your painting is lovely enough to almost make me want to buy some of that hand cream. Oh it's always so enjoyable how you keep your eyes on the dull routine of everyday life and change it into an unique "adventure". I love your sketches and your amazing notes. I'm now visualising you dressed in beige from head to foot having help putting screw lids on! I may have to make a strong cuppa to help with the shock!